Point101 has launched its Giclee print service which is aimed at professional photographers, artists (looking to create reproductions of their work), museums, as well as a gift idea for all photo enthusiasts. The ordering system is really fantastic and very intuitive. 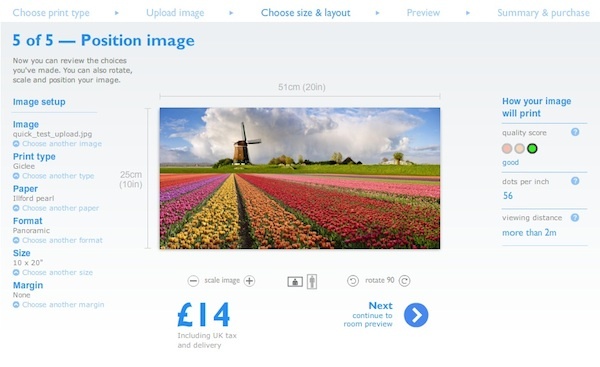 You can upload your photos up to 50mb and then crop, position and resize your images very easily. 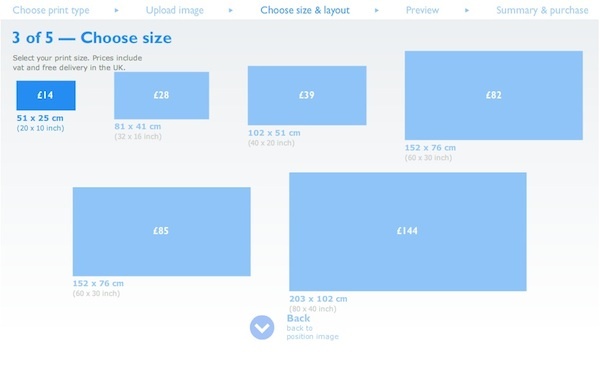 They have multiple formats to choose from such as your standard or popular sizes as well as A sizes, panoramic and squares and multiple sizes within in format (see 2nd screengrab down). 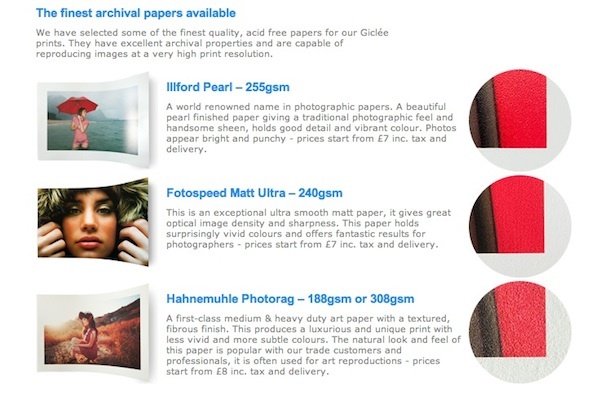 They have 3 main papers available - Illford, a Fotospeed matt paper and the ever popular Hahnemuhle (try spelling that after a few beers). Their website looks great for professional photographers who want high quality Giclee printing but may also encourage amateurs to get some of their more treasured shots printed on papers and inks that aren't available on many desktop printers. Prices start from £7 including delivery (extra for countries outside the UK). Prints larger than 12 x 16" are sent in a tube. You can upload your photos to have a play and check out their website at point101.com.